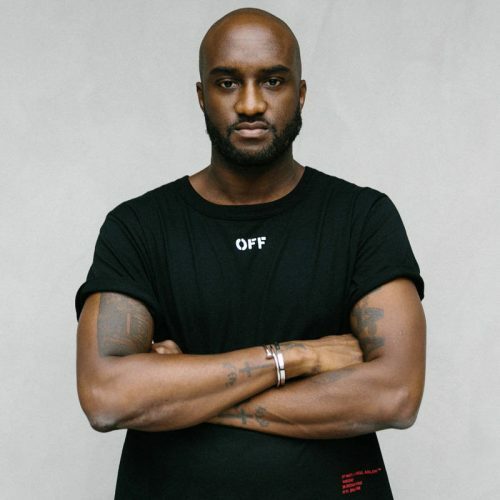 Suzy Menkes, Donatella Versace, Elle Macpherson, The Cobblers of Ferragamo, Sinéad Burke, Diego Della Valle and Renzo Rosso are some of the names considered to being doing the best in sustainable fashion. Let’s know why. The Green Carpet Fashion Awards, Italia, celebrated last 23th September the best in sustainable fashion. This year's Awards, hosted by Camera Nazionale della Moda Italiana and Eco-Age, reflected the commitment of luxury fashion houses to sustainability, as they work to embrace rapid change while preserving the heritage and authenticity of small-scale producers. 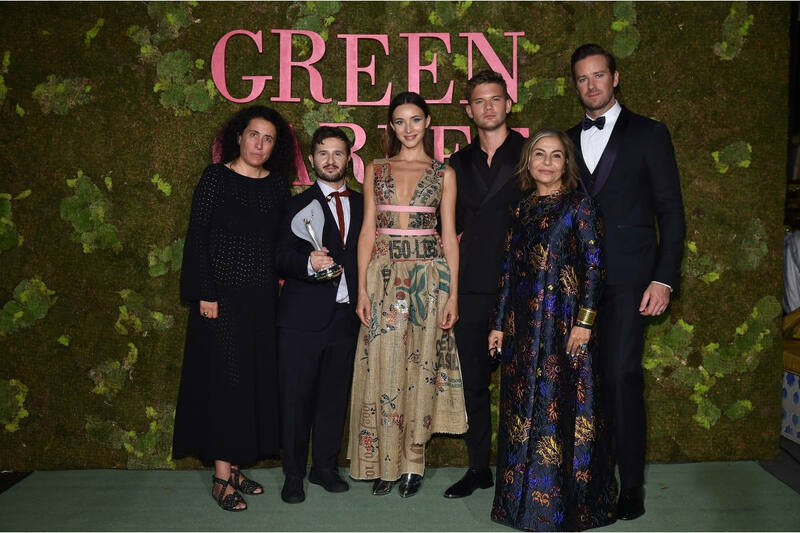 The fashion world came together in Milan on Sunday night for the second edition of the Green Carpet Fashion Awards, Italia: a star-studded celebration of the sustainability, innovation and the contribution of the Italian fashion industry. Cate Blanchett, Julianne Moore and Cindy Crawford were among the presenters of the 13 awards. 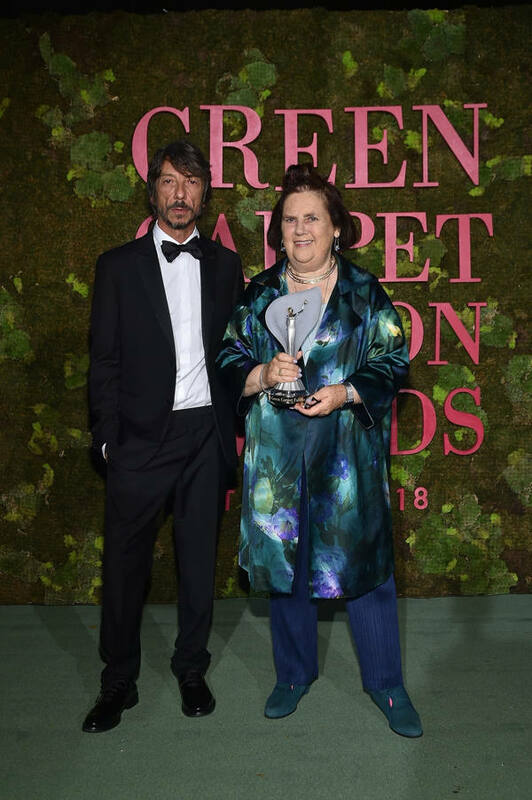 The Visionary Award: Suzy Menkes, for championing the hands behind fashion and telling the stories of the extraordinary makers and artisans of the luxury supply chain. The Handprint Award: Antonio Giacomo Lampasi, Lionella Maria Morano, Giacomo Puzzello and Crispino Maria from Monterroso, for reviving and innovating the traditional, yet partially forgotten, technique of dyeing fabric with recycled graphite. The technique, handed down over centuries, had lay dormant until some very special, focused individuals from WRAD breathed life into this compelling and eco-friendly production technique. The Art of Craftmanship: The Cobblers of Ferragamo, for showcasing the amplification of great innovation while preserving the heritage of production that dates back centuries. Eco Stewardship Award: The Woolmark farmers. The CNMI in recognition for sustainability: Donatella Versace. The Franca Sozzani GCC Award for best emerging designer: Gilberto Calzolari. 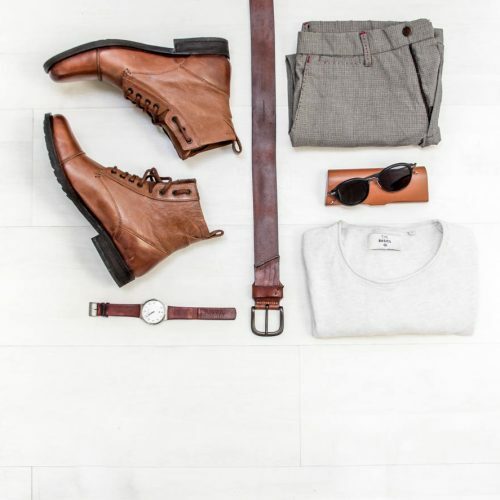 Technology and Innovation: Frumat leather, for their innovative textile technology in which apple waste is used to make a bio-based leather of such quality and appeal that it can displace animal leather – solving both a waste problem and an ecological one. The Wellness Award: Elle Macpherson, recognises that human wellness is a core component of modern sustainability. 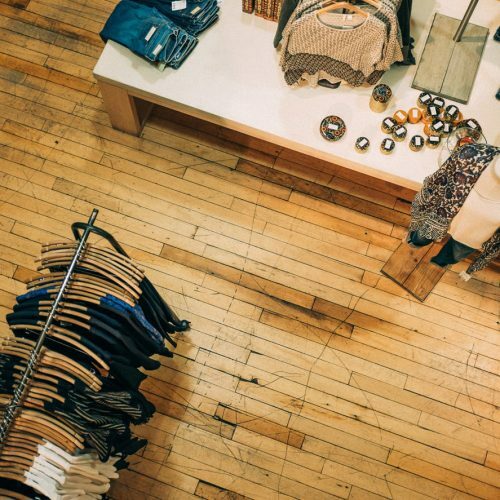 Supply Chain Innovation: Sourcemap, for their unequivocal belief that consumers have the right to know the social and environmental impact of product, and their use of cutting edge blockchain technology to make that vision a reality. 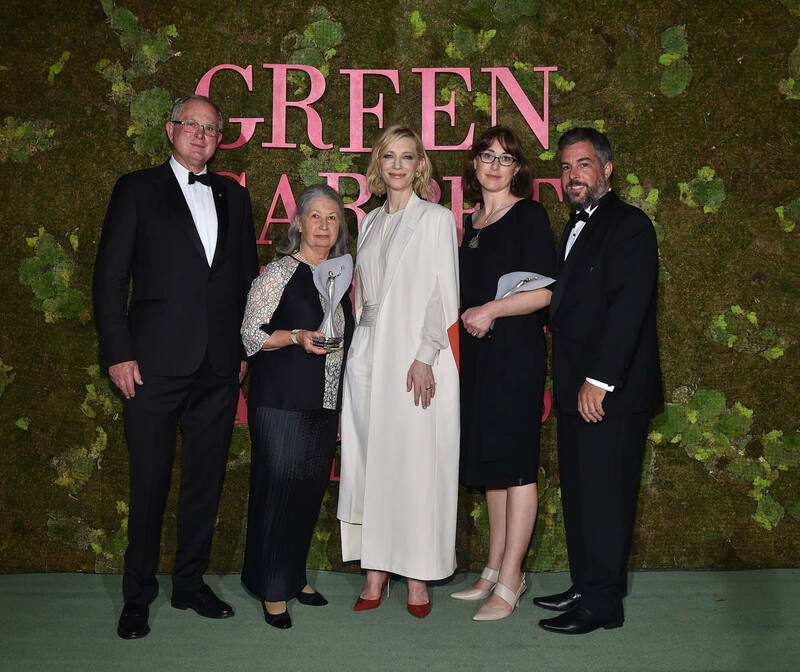 Eco Stewardship Award: The Woolmark farmers, for the best sustainable farm management in producing the most precious natural fibre: Merino wool @thewoolmarkcompany. The CNMI in recognition for Community and Social Justice: Diego Della Valle and Renzo Rosso, for their work investing in and rebuilding communities, including post-earthquake disaster zones, while securing our communal heritage through projects such as the restoration of the Colosseum and the Rialto Bridge in Venice. Sustainable Producer Award: Bonotto, for their exemplary production that has simultaneously invested in artisan craftsmanship and industrial production in a symbiotic way. The GCFA Leaders Award: Sinéad Burke, for leading a huge transformation in the fashion system and changing the fashion conversation for good. The CNMI in recognition for sustainability: Donatella Versace, for topics such as the decision to go fur-free, designing and building the greenest retail spaces, investing in culture that puts people and their well-being at the centre and moving fast through an extensive programme of change. The Changemaker Award: Cameron Russell, for using her social platforms for social good. In recent times, she systematically exposed harassment and mistreatment of models in the fashion industry through her social media campaign #MyJobShouldNotIncludeAbuse, leading to a series of important changes within the industry.